Learn more about Veneers offered by our Orlando dental practice, Paradise Dental. Contact us today to schedule an appointment! Russell Hamarnah, DMD, offers porcelain veneers at his Orlando office. Porcelain veneers can nearly instantly transform your smile. Veneers can improve the appearance of cracked teeth, crooked teeth, misshapen teeth, discolored teeth, gapped teeth, and teeth that are either too small or too large. Porcelain veneers are thin, custom milled pieces of porcelain that are colored and shaped like teeth. These thin veneers are applied on top of your teeth with bonding cement, covering flaws such as gaps, stains, or size mismatches. End result: a gorgeous, natural-looking smile. Orlando dentist Dr. Hamarnah can usually complete your smile makeover in two visits. The first visit involves assessing your oral health and smile, taking impressions and X-rays of your teeth, and planning the treatment. From there, we'll custom-make the porcelain veneers based on your treatment plan. On your second visit, Dr. Hamarnah will lightly buff your teeth to prepare them for the placement of the veneers. The veneers will then be bonded to your teeth with a permanent cement that is cured with ultraviolet light. Dr. Hamarnah will go over care instructions with you and send you home with your new and improved smile! 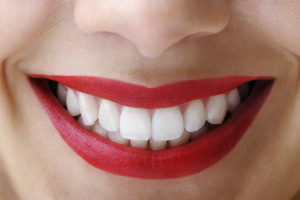 Who is a Good Candidate for Porcelain Veneers in Orlando? Porcelain veneers can help with a number of conditions including gaps, cracks, chips, stains, and tooth size. While other dental procedures are available to correct these same issues, some patients prefer the immediate and lasting results of veneers. In general, if you are unhappy with your smile due to tooth shape, discoloration, size, gaps, or damage, you could be an excellent candidate for veneers. Likewise, if you'd rather correct these issues sooner rather than later, choosing veneers over the other alternatives may be the best option. Find out for sure by scheduling an appointment with Dr. Hamarnah.